Ever wondered what are the most popular, easily cultivated and best looking plant species. Look no further. We cover the top 5 Aquascaping plants from substrate to background. These plants are on their aesthetics and their ease of use. The vast majority of these plants require higher lighting, we will soon explore suitable plants for low lighting. Dwarf Baby Tears, also known as HC is a classic. HC is possibly the most popular of all aquascaping plants. It’s unique ability to carpet the entire aquarium with a bright green makes it an excellent contender for any aquarium. It is fast growing and will spread on its own accord. However, HC needs strong lighting and CO2 injection to produce those magical carpets you see in award winning aquariums. HC is the best choice for undulating aquarium styles such as Iguami. It can give the effect of grassy hills & paddocks. A unique and excellent plant choice. Primarily a background plant, Rotala is a diverse addition and is praised primarily for its fine leaf structure and fast growing nature. Rotala is also exceptionally easy to propagate. Stems can be cut off and replanted, only to begin regrowing days later. Rotala has fine leaves, these give the aquascape more visual depth and size. There are many types of Rotala that appear in varying degrees of greens and reds at varying sizes. Rotala Green is a clear winner and can be used in strong to weak lighting setups. Easy to propagate, easy to care for Rotala Green is number 2 on our list. Whether you love or Moss it will always be used in aquascaping. Christmas Moss is fairly common and still possibly the greatest addition to any aquascape. It is incredibly easy to grow in both high and low light setups. All moss have the unique ability of consuming the aquariums nitrates at rapid rates. Christmas Moss is no different, it will clean the tanks water while growing into a beautiful natural cover for rocks and substrates. The very fine leaves of Christmas Moss make it a key player in making new rocks and driftwood look ‘natural’. Easy to use and cheap to source it is a definite yes in any aquascape. Forget Java Fern, the big bushy leaves and very fast growth rates will dominate the aquarium and plague the tranquility. Needle Leaf Java Fern on the other hand is amazing. The thin leaves make that much difference. They can be stunning when attached to driftwood and allowed to grow sporadically into open water columns. They make for a very natural look. Unlike standard Java Fern they grow much slower and smaller. But like Java Fern they only need a low amount of light to keep healthy. They will also thrive in high lighting setups. Consider this plant as it is a great addition to any aquarium. Anubias has and always will be a winner in the hobby. It is perfect in decorating wood and hardscape giving the aquarium a natural feel. It grows slowly, does well in all lighting conditions and can be easily propagated. It is also low priced and can be found at most fish specific stores. Pick up some Anubias for your aquarium, you will not regret it. Here is a brief breakdown of some of the best competition winning aquascapes of 2014. These artists combine knowledge, skill and patience to produce some of the most beautiful aquascapes this world has ever seen. This is truly aquascaping at its very best. Wolinksi Gregoire produces this jawdropping scene that looks like it could be from Avatar. Jagged floating rocks are gently speckled with live moss giving the scene a perfect contrast. These rocks form ‘windows’ on the left and right which look like passages into another world. The 82 Gallon masterpiece houses Green Neon Tetras, Eleocharis acicularis ‘Mini’ substrate, coral moss, weeping moss and many more. 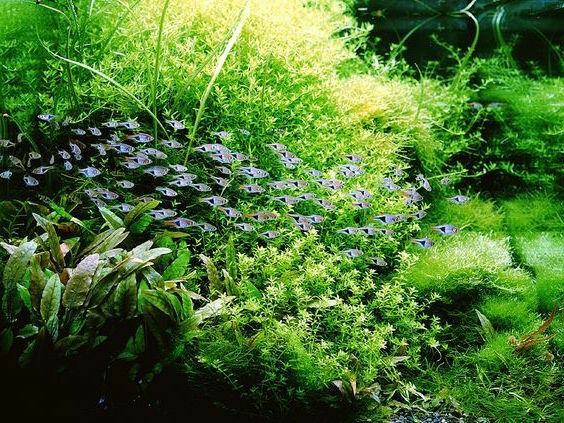 It is a delicacy of fine plants and brings together the best aspects of aquascaping. Whats more impressive is the seemingly low light setup used only 140 watts of lighting coming in at just 1.7 watts per gallon. It just goes to show aquascapes are not judged on the quality of their setup but the attentiveness of their artist. Fabian Kussawaka unveils this beautiful aquascape coming 10th place in the annual AGA competition. At 48 gallons this aquascape mimics a stunning natural Japanese Garden. The Bonzai red ‘tree’ in the center is absolutely stunning carefully crafted with Bacopa sp Red. Other notable plants include Rotala Walichi & Green in the background, Flame moss, anubais on the wood and fine stands of Helanthium tenellum in the foreground. Cardinal Tetras have been used with an excellent complimentary effect. All in all a fabulous relaxing and thoughtful piece. Cheak Swee Lim engages the audience with a truly natural and unruly aquascape. Aquascaping attempts to capture nature in its raw form. This aquascape does exactly that. Wild spurs of Needle Leaf Java Fern sway and dart into the open water. HC, Pennywort and Pearl Grass give the substrate a natural and layered feel. Using three different substrate plants gives the impression these plants were not placed but grew here by ‘accident’. This aquascape really shows off nature in the highest form. A truly remarkable scape that must be absolutely stunning in the flesh. Paquale Buonpane mimics a natural forrest with this breathtaking aquascape. The amount of thought, dedication and time put into a production piece like this is mindblwoing. The simplicity of the plants is mind blowing. The vast majority of the trees are comprised of weeping moss, java moss and fisdens fontanus. This aquascape also uses modest lighting coming in at just 1.5 watts per gallon. The aquascape houses a small number of neon tetras which can be seen schooling at the front of the image. A very interesting concept of tree covered mountains has been executed very well. This is a glimpse of aquascaping really pushing the limits of imagination. Michael Wong produces this calming aquascape at just under 65 Gallons. With over 3 watts per gallon, CO2 diffusion, 2 undergravel filters and ADA accessories this is a powerhouse aquascape. The fine needle leaves of Rotala Verticillaris in the back of this aquascape really emphasises the size of this piece. This is further complimented by the school of small neon tetra swimming across the ‘valley’. Although a consistent theme, Michael has managed to produce a stunning valley framed by two jagged mountains. The attention to detail is astonishing, aquascaping like this takes time, foresight and patience. Last but not least is Siak Wee Yeo with this mesmerizing moss covered fantasy land aquascape. The arches in the rocks and height of the scape is incredibly difficult in achieving shape and stability. The moss, needle leaf java ferns and natural curves of the gravel substrate set this apart from other aquascapes. A truly fantastic achievement, it is interesting to imagine where aquascaping will take us next. 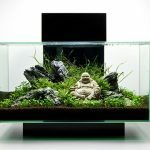 The majority of these scapes were entered in either the AGA 2014 Competition or the IAPLC Competition here Check them out for more details and even more beautiful aquariums. And make sure to follow AquariumInfo on Facebook here for more photos, updates and write ups on the latest Aquascaping Products & news. Vortech Quiet Drive Review | Worth Upgrading? Ecotech Marine have released their latest advancement in marine technology. The MP10 , MP40 and MP60 are the most popular solutions for replicating natural currents in the industry. The new advancement in this range includes the MP10QD the MP40QD and the MP60QD. QD Stands for Quiet Drive technology. Having owned an MP40 the motor can be heard at times winding up and down. This is especially noticeable on a quiet setup during the night. The new quiet drive technology claims to reduce motor noise by up to 90% . This in itself is a huge breakthrough for the company. Not to mention the pump is fitted with a variety of other advancements. 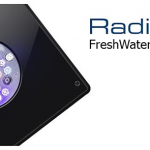 These include 6 extra continuous operation modes, feeding mode, night mode and sync with Ecosmart live. Vortech MP40wES Is it worth the upgrade to the Vortech Quiet Drive MP40wQD? This is one of the biggest questions on every reef fanatics mind. The MP40wQD is the real winner here. The pump has had a complete redesign increasing its maximum output by a whopping 40%. The pump is more efficient now fitted with a new propellor and higher quality bearings that may make this a worthy upgrade. The pump is priced at $349 which is $50 lower than the initial sales of the MP40. The MP40wQD comes with all the features at a very fair price tag. If coming from a MP40wES the upgrade may not be worth it. Personally moving from a working MP40wES to a MP40wQD the new unit is definitely quieter with more power. However the majority of the time I have the unit on a lower setting. In my honest opinion $349 ($200 after selling the old unit) could be better spent on coral or monitoring hardware. Moving from an MP10wES however may prove a huge upgrade. 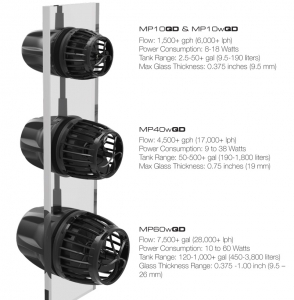 MP40wQD will now be able to handle aquariums up to 500 gallons in size. For SPS tanks the MP40wQD is more affordable and outputs 50% higher flow rate than two MP10wES units. Thats some food for thought. Vortech MP10wES Is it worth the upgrade to the Vortech Quiet Drive MP10wQD? The Ecotech Marine MP10w ES has the option of upgrading to the Quiet Drive MP10wQD with only a change in controller. This offers noise reduction, efficiency changes and boosts in maximum flow. The Ecotech Marine MP10w ES is not renowned for being especially loud. This is mainly due to its small size. On my nano aquarium, I hardly notice the pump – especially when factoring in the hum of the return flow. Unless there is noticeable noise or lack of flow from your MP10wES, the upgrade may be mainly superficial. Unless buying a new pump outright, money from upgrading a fully functional MP10wES can be better spent elsewhere. If flow is an issue, remove your inhibitions and purchase the MP40eQD without hesitation. It is easily the best built, highest functioning piece of technology I have ever had the pleasure of using. MP60wES Is it worth upgrading to the Vortech Quiet Drive MP60wQD? To put it simply, Yes. I was fortunate enough to physically see and hear the difference between the two controllers. It is astounding how changes in hardware and software controllers can have such an impact on this pump. Unlike the MP10wES the MP60wES is a noisy beast. The pump is noticeably loud on quiet aquarium setups. The aquarium I viewed the demonstration had an underground filtration room and the tank was whisper quiet. There is a noticeable hum and gradual increasing whir when the MP6-wQD delivers strong flows to the aquarium. When the MP60eQD was (eventually) installed, the pump was noticeably quieter. So much so that we had to check the controller to ensure it was on full throttle. To put it simply, this is an upgrade definitely worth looking at. MP40wES Owners should hang on to their pump and hold off purchasing the Vortech Quiet Drive MP40wQD until there is an issue or they plan on buying a new one. They won’t notice a huge difference except noise. Ecotech Marine MP10w ES Owners should save their money purchasing the Vortech Quiet Drive MP10wQD unless a fraction reduction in noise is desirable. MP10wES owners should consider purchasing the MP40wQD is they require more flow as it is a brilliant pump. MP60wES Owners should purchase the upgrade as soon as they can get their hands on it. Personally, the noise difference between the standard and Vortech Quiet Drive MP60wQD controllers was night and day. 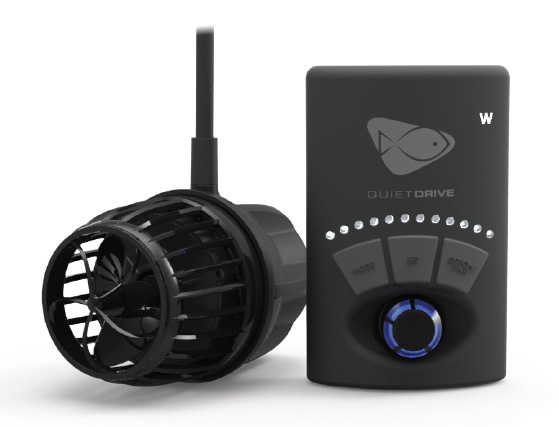 Author Aquarium InfoPosted on April 25, 2015 December 28, 2015 Categories MarineLeave a comment on Vortech Quiet Drive Review | Worth Upgrading? Finding the best fish to compliment a planted aquascape can be challenging. Listed below are 10 of the best choices used time and time again by professionals in the industry. This article breaks down which species are the best and why. Common questions often overheard from hobbyists include: Which size fish is best suited for an aquascape? Are all species of fish compatible with planted aquariums? 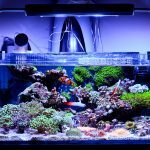 Are all fish compatible with CO2 setups?. 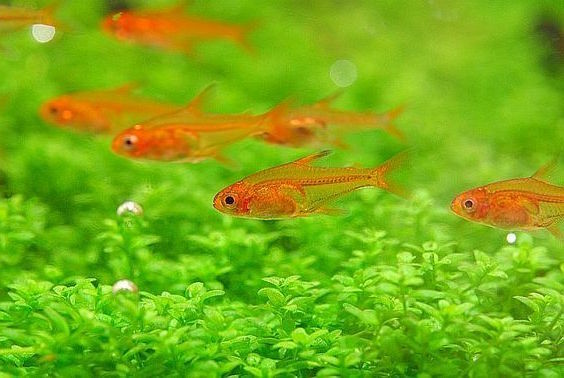 Generally smaller fish such as the Ember Tetra listed below tend to give the illusion of a deeper and larger aquarium and are an excellent choice for the modern day hobbyist. Larger, herbivorous fish, such as silver dollars, Pacu, Silver Sharks & Oscars should be avoided in planted aquaqscapes along with fish that are sensitive to pH swings that can result from CO2 injection. Ember tetra have become one of the most popular aquascaping fish additions. 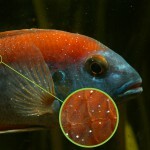 This is due to their distinct bright orange color and their extremely small size. This combination works in two ways. The aquarium will appear much larger with small fish such as the Ember Tetra occupying the empty space. This is especially advantageous in aquascaping competitions such as the Aquatic Gardeners Association when an image is the only visual source of the aquarium. Their unique name ‘Ember’ is realised in their bright blood-orange coloration. 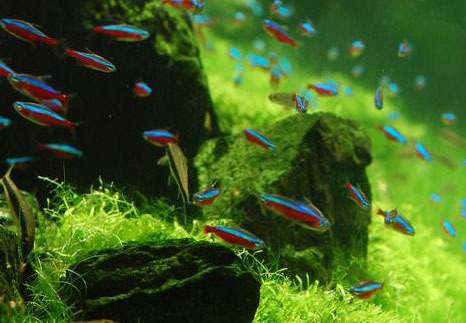 Ember Tetras will often swim in schools resulting in a bright trail of color through the aquascape. They are suited to a lower pH often found in planted aquascapes and overall are an excellent choice for the planted aquarium. The Neon Tetra is very similar to the Cardinal Tetra. How do you tell the difference between a Neon Tetra and a Cardinal Tetra? The difference lies in the coloration. Cardinal Tetras hold their coloration from the tip of the mouth to the end of the tail. Neon Tetras have a small break in the red lining that runs down their side. Their belly is often a white-silver coloration. 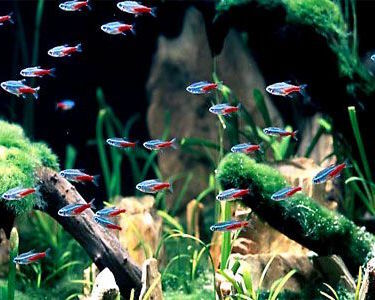 Neon Tetras will not grow as large, often maximum size is less than 1″. Neon Tetras are extremely cheap and can be bought at almost any pet store or LFS. For this reason they are the best budget solution when a school of fish is required. Purchasing 50-100 in a very large aquarium will make for a stunning display. Harlequin Rasbora are another popular aquascaping fish. This is due to their small size and bright reflective coloration. 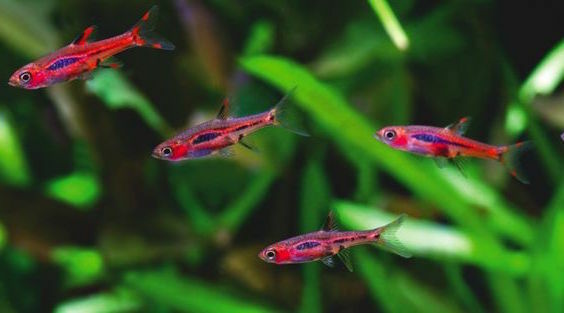 Harlquin Tetras seldom grow over 1″ in length and have a life span of up to 10 years. They have an unusual rose sheen that compliments a dark L shaped line running down their back. Halequin Rasbora are an excellent community fish and are fully compatible with planted aquascapes. Rainbows are becoming more and more popular in the aquascaping aquarium hobby. This is due to their natural bright colorations that reflect light in the aquarium. The scales of rainbowfish are mirrored and add radiance and movement to an otherwise static aquascape. They enjoy lower pH that is usually associated with planted aquariums from the CO2 injection and the substrate used. Smaller rainbows are more popular in aquascapes due to their ability to add depth and school in the aquarium. These include the Spotted Blue eye, the Dwarf Neon Rainbowfish & the Threadfin rainbowfish. They are a hardy species, come at a good price point but can be challenging to locate in large numbers. Angel Fish are a classic favorite in the aquarium hobby and have recently been used in aquascaping setups. Angel fish are more sensitive than other species to changes in water quality. For this reason a CO2 heavy setup should utilise a solenoid valve that cuts CO2 during night hours. This can help to minimise CO2 input while the plants are respiring and preventing a drop in the aquariums pH. Angel Fish have notably been used by Takashi Amano in the giant aquarium situated in his home. These are Altum Angelfish, an extremely challenging species that require careful monitoring and regular feeding. 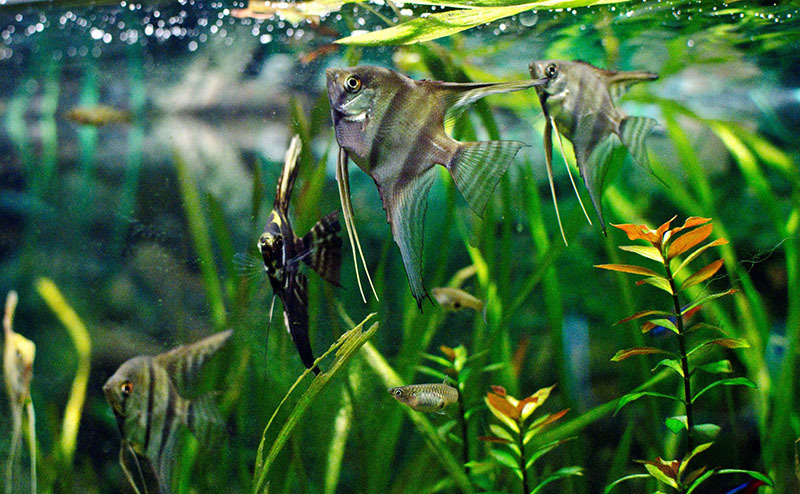 Standard angelfish can grow quite large and this leaves them reserved for larger aquascapes. At number 6 they are a beautiful fish, they are plant safe and a majestic addition to any aquascape. Discus are possibly the most unique and colorful species available in the hobby. Discus originated in the Amazon and it is believed this bright coloration is needed in murky shadowed waters to find and attract a mate. Discus also prefer a lower pH almost identical to that found in CO2 aquascapes. Unfortunately Discus can grow to be quite large, they should be reserved for very large aquascapes of at least 100 gallons. As mentioned earlier, the larger size of Discus can be a trade off between the illusion of depth in the aquarium and coloration. They can be combined with Tetras and are an all round good community fish. They are an excellent addition for a planted aquascape provided the aquarium is big enough to house their adult form. Guppys have been the spotlights of aquariums from the beginning. Tropical heaters in the aquarium made it possible to keep a variety of species and guppys were among the brightest and hardiest of them all. The males carry a bright, large tail that signals status and attracts females. Guppys have intense coloration that exists in almost every possible shade. This makes them an excellent choice for an aquarist that is looking for a particular color to compliment an aquascape. Guppys do not like high flow and prefer slower moving environments. They are also susceptible to other species nipping their fins and should be kept with their own species. Guppies will also not school in the aquarium. This is mainly due to lack of predators in nature, where they thrive in warm ponds and pools. The Chili Rasbora is another brilliant choice for the planted aquarium setup. 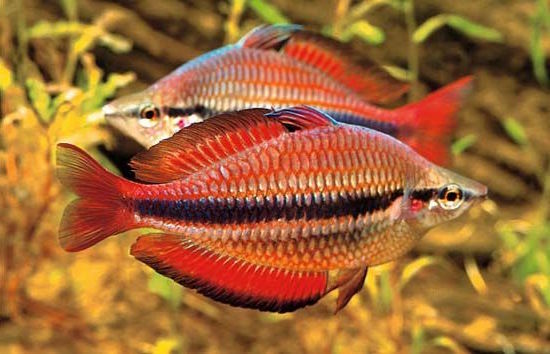 Their very small size and striking red coloration makes them a top contender. Their main advantage is their natural talent for schooling. Large aquariums with at least 15 Chili Rasbora will find them staying tightly together around the aquarium. This can have a beautiful trailing effect as they move from one side to the other of the aquascape. They are a harder species to obtain and hence they can often command a premium to other Rasboras that are easy to source. They need some free space to swim and 55gal is recommended, although they can be witnessed in much smaller aquariums. 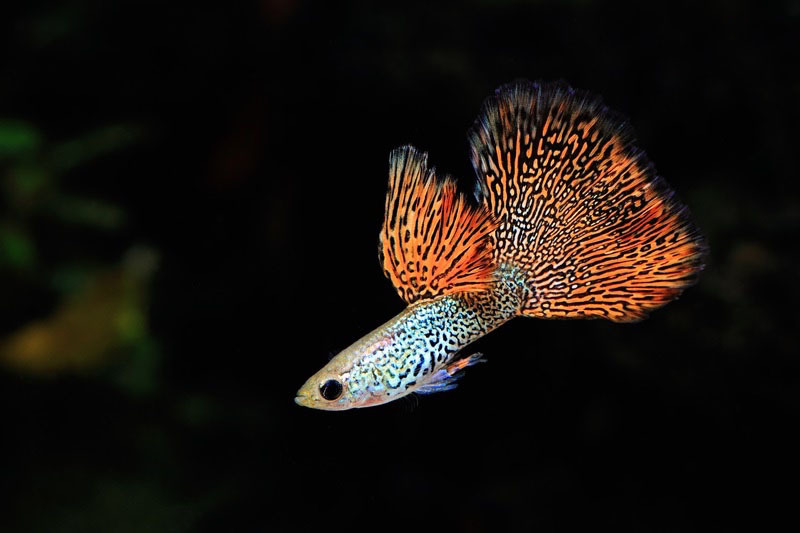 Chili Rasbora should be kept in a species only Aquarium due to its small size and timid nature. 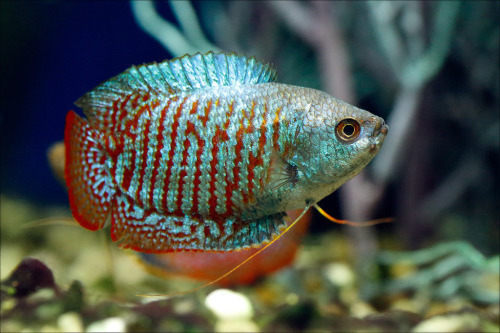 Dwarf Gourami are a classic aquarium addition that have an excellent personality and bright reflective colorations. Dwarf Gouramis can grow up to 3″ but are more commonly seen at around 2″ in length. For this reason, they should be limited to larger aquascapes, realising that larger fish may reduce the percieved depth and size of the aquascape. Aquascapes are perfect landscapes for these fish, they do well in communities and add bright red’s and blue’s to an other wise green aquascape. These are just 10 of the many aquarium fish that are suitable in a planted Aquascape. They are popular, proven and are guaranteed aquascaping fish that will add color and movement to the aquascape.